Elder Young was able to interpret ASL for an entire Sacrament Meeting a couple of weeks ago. He constantly tells us how thankful he is for the patience of the hearing impaired people who he has come in contact with. He and his companion had a very interesting experience last week when a member said that there was someone that wanted to be taught right then. This was extremely interesting since Elder Young and Elder Hosea were at the library for their preparation day. They had their regular clothes on but were able to go to a section of the library and teach a young person who will be baptized soon. It is so great that he is being able to have great success in his area. We are so proud of him. He is appreciative of any type of correspondence from friends. Send things his way to the Mission office and he will be guaranteed to receive items sent. Elder Young has now been in the mission field for over a month. It is amazing to see the time just fly by. 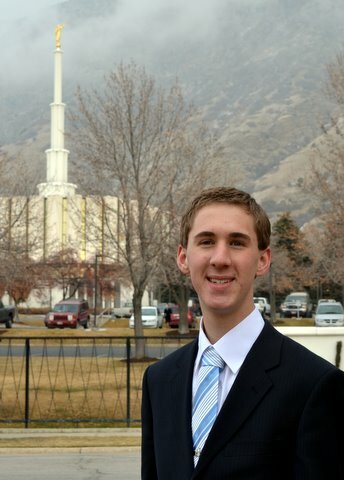 He has already informed us as to when he will be returning from his mission, which is December 23, 2013. He has been able to find a few families to teach, however it is difficult and many people are just not interested in the message that he and his companion have to offer. 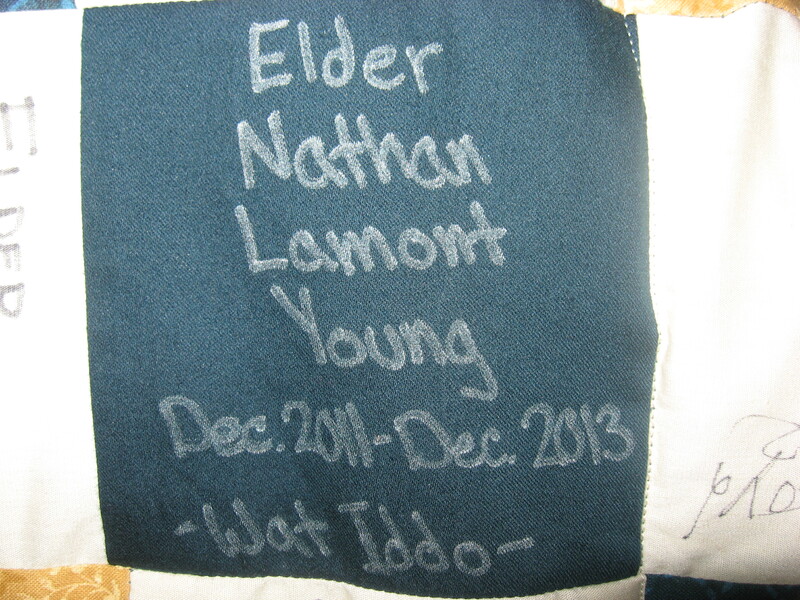 Service projects and a fishing trip are the latest things that Elder Young has told us about. On his last preparation day, he and his companion, along with another companionship, helped a member with a construction. After the service project, they all went fishing. They were confronted by the game warden, who wondered if the Elder’s had fishing licenses. Even though the questioned Elder told the truth, that he indeed did not have a license, the warden let him off and no fine was imposed. Telling the truth paid off for this young man. Elder Young’s companion has been invited to do the Haka at a local junior high school this week. It will be interesting to see how that turns out. Keep Elder Young and his companion in your prayers, along with all of the other missionaries in the world. We received an email from Elder Young telling us that he was able to participate in the baptism of one of their investigators. Elder Young’s companion, Elder Hosea, baptized the young man and Elder Young was able to do the confirmation. The food experience is something that is all new to him. Cornbread, turkey necks and collard greens were on the menu for one of the favorite meals thus far on his mission. We are so lucky that he is serving in Mississippi. The experiences that he will have will be some of those that he will long remember. 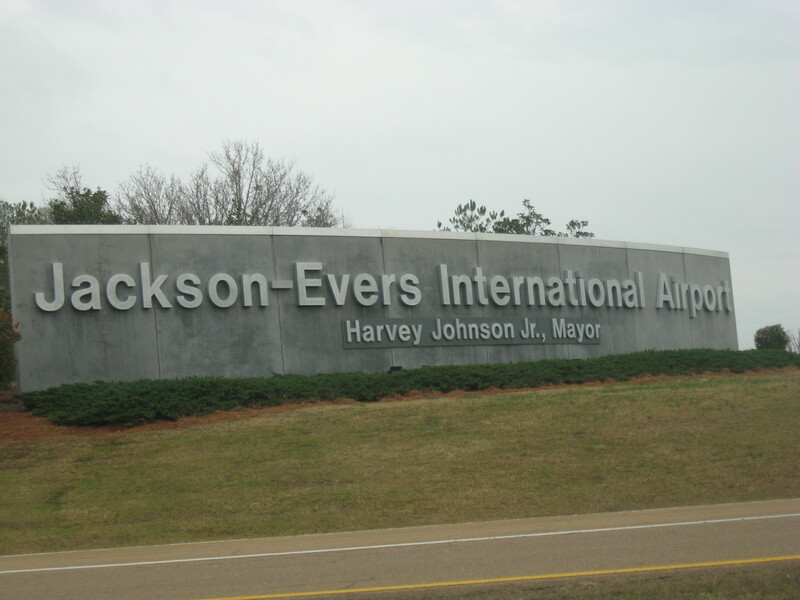 On Monday, January 9, 2012, Elder Nathan Young entered the Mississippi Jackson Mission Field. We were able to talk to him when he arrived in Atlanta, Georgia. His group went from Salt Lake City Airport to Atlanta, Georgia and then to Jackson Mississippi. 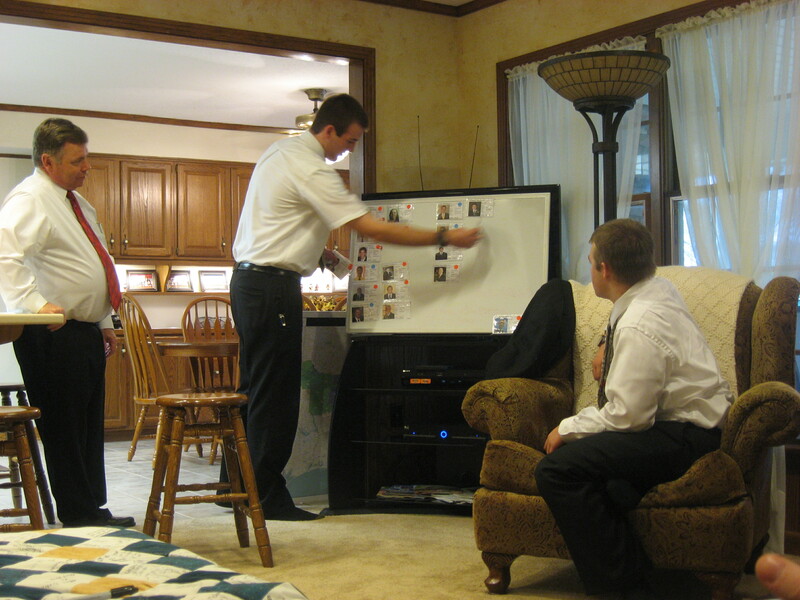 There was a group of 10 missionaries going to his mission. In an email that he wrote to us on Tuesday, January 10, 2012, he told us that he had gone out with another Elder and was able to make appointments to come back and teach one family. He also told us that he is in an area where there are a lot of deaf people. He is excited about being able to use his ASL. Elder Nathan Young entered the MTC on Wednesday, December 21, 2011. It was a great day. He was a bit nervous, but he was greeted by a great Host Missionary. I will keep all of you posted on his status. We should be receiving our first email from the MTC on Monday, December 26, 2011.